Private swim lessons are a great way to boost a child’s self-esteem and self-confidence, both in and out of the water. 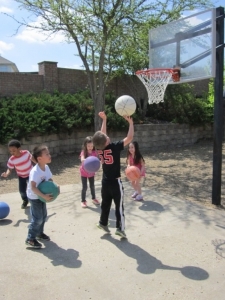 Children receive individualized attention in a three-to-one student to teacher setting. The gift of swim is not just a gift of safety but an opportunity to enjoy so many leisure activities in and around the water. Does your child love the water and swim like a fish? 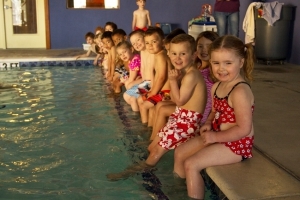 Swim Club at Galaxy Ranch Private School Rockwall, gives preschoolers age 3 and above as well as school age children the chance to become strong swimmers by helping them refine their posture, kicking techniques and arm strokes. Our swim instructor works with groups of no more than six students per club, allowing each child to develop into the best swimmer he or she can be. The fundamentals of tap and ballet are taught to children age 3 and older. While they learn basic dance and performing skills, children also develop core body strength and coordination. This small-ratio class teaches children the love of music and physical activity as they twirl, tap and plié through their morning. (Taught by outside instructor). Preschoolers love the chance to work on the computer like mom and dad. This parent-pay offering allows preschoolers a chance to go to the computer lab once a week and work on computer-based educational programming. They learn the basics of mouse movement and keyboarding, as well as get the chance to use age-appropriate software to learn more about letters, sounds and basic mathematics. All preschoolers at Galaxy Ranch Private School are invited to join Stretch N’ Grow, a program designed to help children increase balance and coordination as well as gross and fine motor skills. Children exercise using rhymes, music and games and learn about the benefits of exercise and good nutrition.